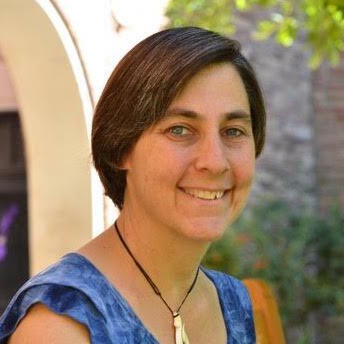 Deborah Palmer is Associate Professor of Bilingual Education in the program in Educational Equity and Cultural Diversity in the School of Education at the University of Colorado Boulder. A former two-way dual language bilingual teacher in California, she conducts qualitative research using ethnography and discourse analysis in linguistically diverse settings. Her interests include bilingual education policy and politics; critical additive bilingual education; teacher preparation for linguistically/culturally diverse teaching contexts; language, power and identity; and bilingual teacher leadership. In particular, Dr. Palmer examines issues of race and class in bilingual settings, and the impact of critical awareness of teachers for mitigating hegemonic discourses. She explores various ways to open equitable spaces/opportunities for learning for linguistically diverse children in school. She is interested in how bilingual children can be positioned or position themselves in academically powerful ways within a classroom. Palmer, D., & Henderson, K. (2016) Dual language tracking and teacher discourses on emergent bilingual students. International Multilingual Research Journal, 10(1), 17-30. Palmer, D. & Martínez, R. (2016) Developing biliteracy: What do teachers really need to know about language? Research Commentary, Language Arts 93(5), 379-385. Fitzsimmons-Doolan, S., Palmer, D. & Henderson, K. (2015). Language ideologies and district-wide dual language program implementation. International Journal of Bilingual Education and Bilingualism. Palmer, D., Zuñiga, C., Henderson, K., Wall, D. & Berthelsen, S. (2015) Teaching Amongst Mixed Messages: Implementing Two-Way Dual Language in Third Grade in Texas. Language Policy.